All of the B vitamins work together to keep you healthy and feeling good. Here is a summary of the role of Vitamin B6, a water-soluble vitamin, in your good health. #The upper range is for men and women over 50. Vitamin B6 is destroyed by excessive heat, so cooking methods, such as steaming should be used whenever possible. Unlike other B vitamins, Vitamin B6 is stored in muscles. This increases the risk for toxicity, which over the long term can lead to nerve damage. This can only happen from taking Vitamin B6 supplements, not from eating food. Strict vegetarians should be particularly aware of their intake of Vitamin B6, since it appears that the plant forms of this vitamin are not as available to your body. In general, people who live in developed countries like the United States get enough Vitamin B6. 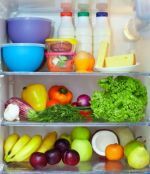 However, those suffering from eating disorders or living in poverty may not be eating enough food to get sufficient Vitamin B6 in their diet. The elderly are also more susceptible to Vitamin B6 deficiency. If you eat a variety of foods from all of the food groups, you will more than likely get enough Vitamin B6 also known as Pyridoxine. --Caveat for Vitamin B6 Sources and Functions: The consumption of alcohol destroys Vitamin B6 and can be linked to an increased risk of heart disease. A recovery diet for alcoholism will include attention to restoring B vitamin status. Vitamin B6 is good for your mood. One of the functions of Vitamin B6 is to help convert the amino acid tryptophan to the neurotransmitter called serotonin. This is important to you because the level of serotonin in your brain has a great deal to do with how you feel. It affects your appetite, your mood and your ability to get a good night’s sleep. Several of the popular anti-depressant drugs work by maintaining higher levels of serotonin in your brain. Vitamin B6 in your diet is important for feeling good and being healthy, but it is not, in itself, a remedy for what ails you. Keep in mind that it can be toxic when taken as a supplement in large doses. Eating a balanced diet of fresh whole foods is still the best way to maintain good health, and will insure that you get enough of this important B vitamin. Interesting Fact about Vitamin B6 Sources and Functions: Since MSG is a common additive in Asian food, medical experts coined the term “Chinese Restaurant Syndrome” to describe the reactions that many people have after consuming this food additive. There is some evidence that this syndrome may be due to a Vitamin B6 deficiency, since this B vitamin is required to metabolize MSG. Some healthcare providers have found that supplementing the diet with 50 mg of Vitamin B6 can eliminate the symptoms of MSG sensitivity. Click here to go from Healthy Eating Vitamins 3 - Vitamin B6 Sources and Functions page to Vitamins page.